For many small business owners, designing their own websites seems like the best idea there is when money is tight. This is a scenario that's not uncommon, but it's also a huge consideration when it comes to taking your business to the next level. 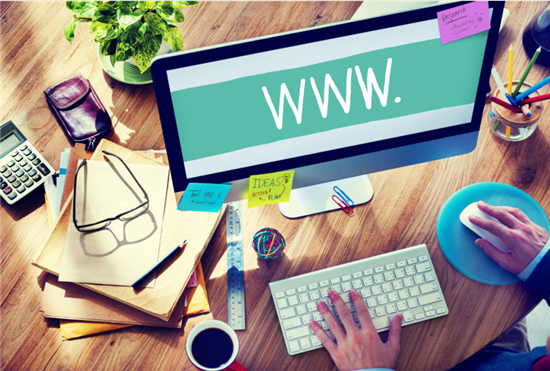 Why not go for small business website solution instead of doing it the DIY way? Even if you're bootstrapping your way to gain online presence, there should be careful thought when it comes to your website. A web design and development team that doesn't charge too much is always available online and can provide you with the right solutions or package for you to achieve a professionally designed website for your business. If you're one of the many small business owners who are pondering on the DIY type websites, think again. Think many times. It's so common for owners to go the DIY route if there are budget constraints. But do consider the amount of time you'll invest in it if you'll do it your way. Chances are you're also working on a 9-5 job and this website is just a side job for you, for now. Or if you do employ someone to do the task for you, it better not be your cousin who knows a bit of coding or your neighbor's son who's studying IT. These may be good options if you're bootstrapping, but in the long run your website will require updates, upgrades, design code checks, and many others. If you'll do these yourself, it will take a longer time and you'll lose more money as you postpone your launch. A professionally designed website needs to be pleasant-looking and offers great user-experience. These two are your top most goals in building your website because you need to attract and make a good impression to your potential customers. And the more professional-looking and user-friendly your website, the higher possibilities of making sale. Sending the right message to your customers can also be done through a professional-looking website. The design team can put together the right narrative, color scheme, and overall look and feel for your website based on the industry you're in and the customers you have. Proper branding comes in various forms, and your website is a bigger chunk that should represent your business overall. It is the 'face' of your business, so it's imperative to use it well to capture more potential customers in the long term. Sure, you can easily buy a website theme, get web hosting plan, and post a few pages and updates. But does your site look professional? It's easy to do all these things as the required elements are highly available and easy to access. They're also cheaper, but they're also generic most of the time. Don't be surprised to find the same theme used by a same-industry blogger or a competitor who's also bootstrapping. If you have the opportunity to get a web design and development team like Fast Track, it's best to go for a professionally designed website right at the beginning. You'll need a significant amount of money to get a visually appealing business website that's unique and appropriate. But in the long run, it will be worth it. If you need to add shopping cart and payment methods for your customers, it's best to employ a professional web design team to help you. They can facilitate this feature and include additional safety measures to make sure your site and customer transactions are safe from malware and other threats. Like many online business owners, it's normal that you want to take care of everything when it comes to your website. Small business website solutions, like Power Site, are well versed on even the most minute details. They are experienced and skilled, so you only have to worry about your business and not your website design and development process. It may be biased to say that it's still best to go for professionally designed websites. But look at the benefits and the time and money you'll save if you finally choose this route with the help of a web design and development team like Fast Track. If you need to build and design your business website, give us a call and let's get started.